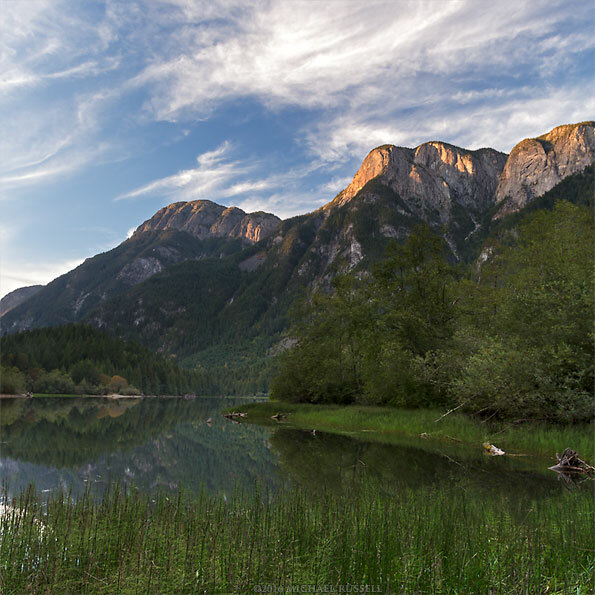 The last direct sunset light reflects off of Hope Mountain at Silver Lake Provincial Park in Hope, British Columbia, Canada. 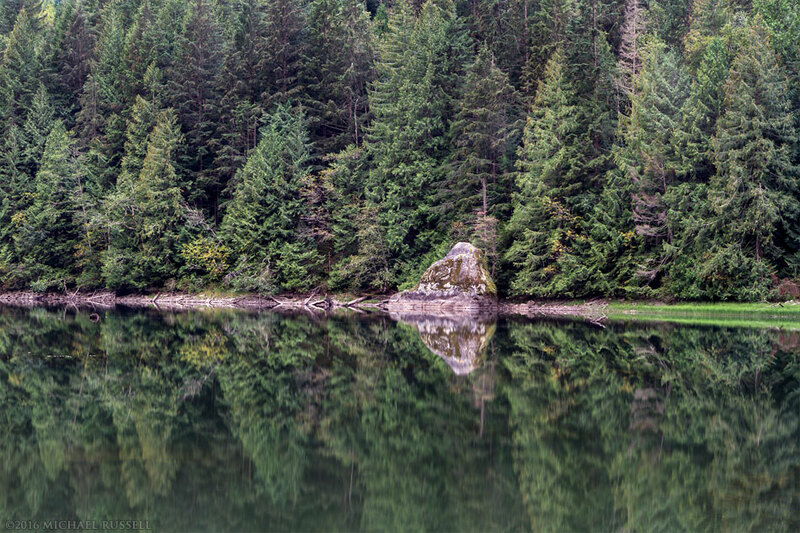 Silver Lake Provincial Park is one of my favourite provincial parks in British Columbia. Whenever I drive through Hope, BC I usually stop here even if I don’t plan to photograph anything. A few weeks ago I was checking out some other locations near Hope and ended the day at Silver Lake. I have photographed Silver Lake quite often, so much so that “new” takes on the subjects there are somewhat hard to come by. The first idea I had for something different was to explore the view looking west towards the lake from Silver Skagit Road. From that perspective, Mount Stoneman and Silver Peak both make a nice backdrop to the lake. Unfortunately, there has been a lot of logging between the borders of Silver Lake Provincial Park and Mount Stoneman, and that angle is no longer all that photogenic. The view towards Silver Peak is clear of logging, but the light conditions I had at the time were not conducive to photography. This was still useful information though, I know what conditions I’ll want before I drive up that side of the lake again. So that option for “new” photography exhausted I headed toward the day use area parking lot at Silver Lake, but hoped to hike down a new trail to get a new angle on things. The photograph above shows the view of Hope Mountain from the south end of Silver Lake. There were near perfect reflections on the lake (as usual) but I opted for this composition as I wanted to show some of the foliage around the shoreline. Many of the trees at this end of the lake are Red Alder (Alnus rubra) but these foreground horsetails are more interesting. There are many patches of these Swamp (aka Water) Horsetail (Equisetum fluviatile) in Silver Lake – especially near the boat launch and the south end of the lake. While most of my previous photographs have been made between the day use area and the boat launch, this area is about 500 meters (1640 feet) south of there along the lakeside trail. The trail continues off into the bush from there, but I was running out of light and had no idea where the trail ended up so I will have to explore that another day. The second photograph here shows the usual reflections you can see at Silver Lake. This time it isn’t Hope Mountain I’ve chosen, but the forest at the northern end of the lake and a large boulder on the shoreline. I photographed this from the Silver Skagit Road near the outflow of Silverhope creek from Silver Lake. You can see some more of that Swamp Horsetail at the right of the boulder. For more photos from this location please visit my Silver Lake Provincial Park gallery.